Livvy Loops Hair Accessories located in Sturgis, Michigan is a fantastic source for hair clips, flowers, bows and custom hair pieces. Sally Happel, hair pretty creator, is always willing to go the extra mile for customers. Her shop offers a variety of pieces that will have you ooohing. She has hundreds of pieces on display in the shop and at fairs and carnivals. RVWS redesigned the site to improve the site performance, speed and update the layout. 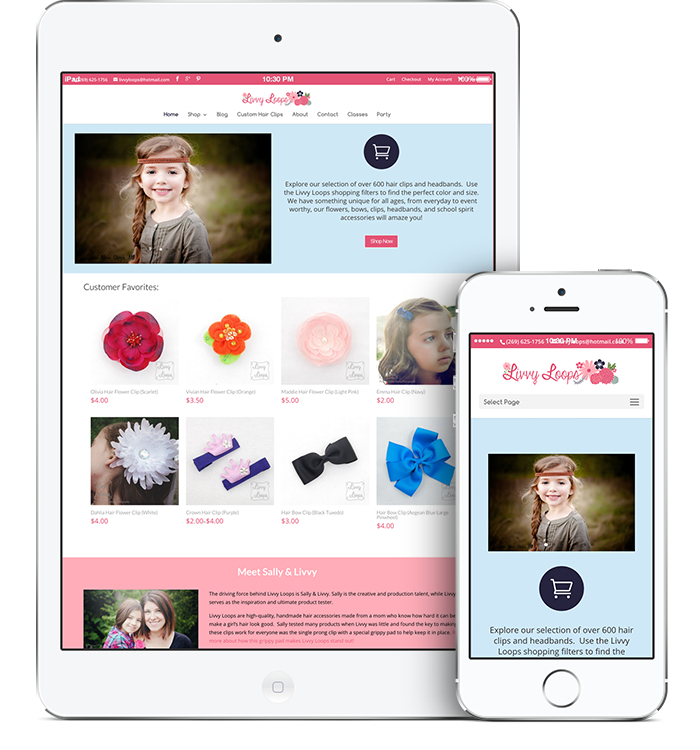 This premium online store was built on the WordPress platform utilizing the WooCommerce Shopping Cart Plugin. In addition to building her new online store, RVWS also assisted with social media branding and marketing by providing customized Facebook and Mailchimp header images.